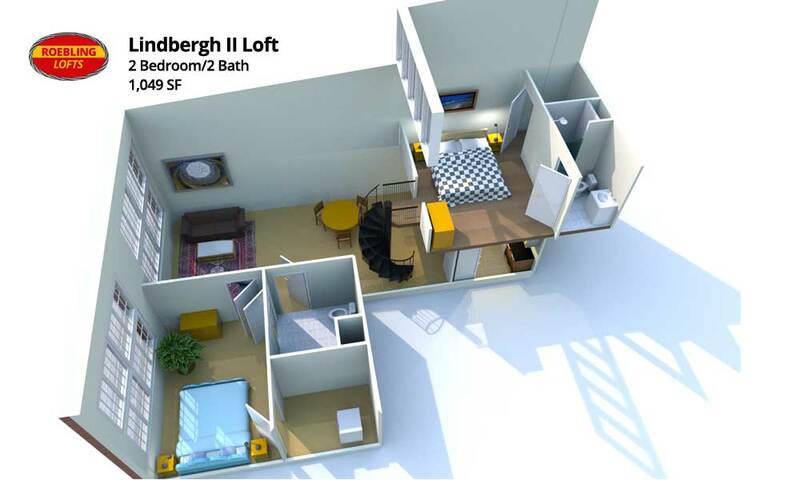 Roomy 2-BR/2BA loft on the top floor with two massive windows. Enclosed bedroom on entry level, with its own massive 10'-10" wide by 9' tall window. 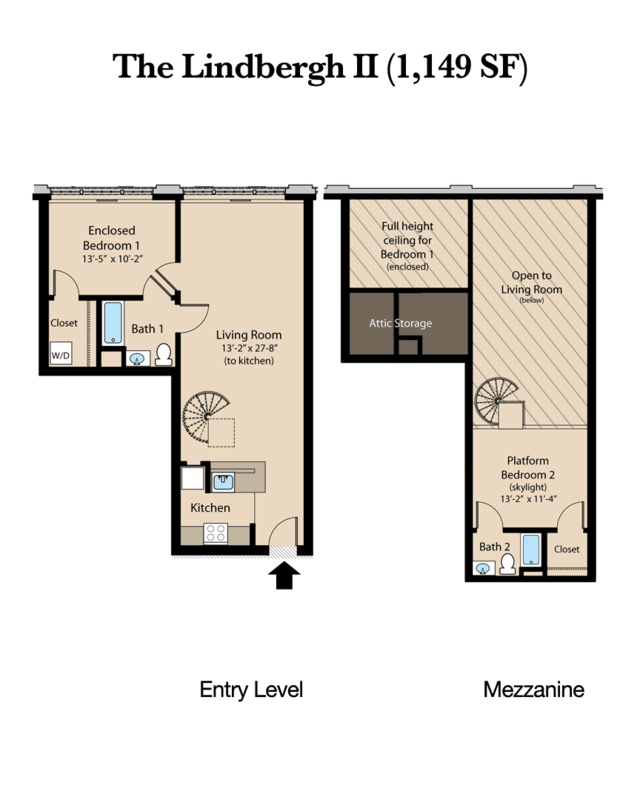 Roomy, walk-in closet with pull-down stairs to massive "attic" storage. Downstairs bath connects to both bedroom and living room.